Hastings United have signed a defender from a higher level football club. The Bostik League South East Division promotion hopefuls have brought in Temi Eweka from Bostik League Premier Division high-flyers Kingstonian. Eweka trained with Hastings this week and will go straight into the squad for the trip to Herne Bay this coming Saturday. The 19-year-old played against Hastings for VCD Athletic in an Emirates FA Cup preliminary round tie at The Pilot Field back in August. That was one of 13 appearances he made for VCD this season prior to joining Kingstonian in November. He subsequently played five times for Kings in November and December, winning four of those games. Eweka made 10 appearances for National League South club Dartford last season, as well as having loan spells with Leatherhead and Rochester United. 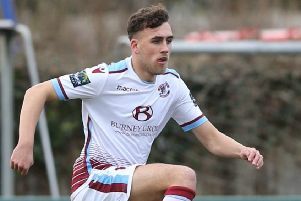 Jack Tucker’s loan spell at Hastings from Gillingham will end after the Herne Bay match and he went off injured in the early stages of last weekend’s 3-0 win at home to Whyteleafe. Young Hastings attacking player Sonny Dullaway has joined Langney Wanderers on loan until the end of the season. Bostik League South East Division top half (played-points): 1 Cray Wanderers 21-54 (+27 goal difference), 2 HASTINGS UNITED 21-44 (+25), 3 Ashford United 21-39 (+25), 4 Horsham 21-38 (+13), 5 Whyteleafe 21-35 (+15), 6 VCD Athletic 21-34 (+2), 7 Haywards Heath Town 21-33 (+8), 8 Hythe Town 21-32 (+5), 9 Phoenix Sports 20-29 (+3), 10 Sevenoaks Town 21-28 (-1).